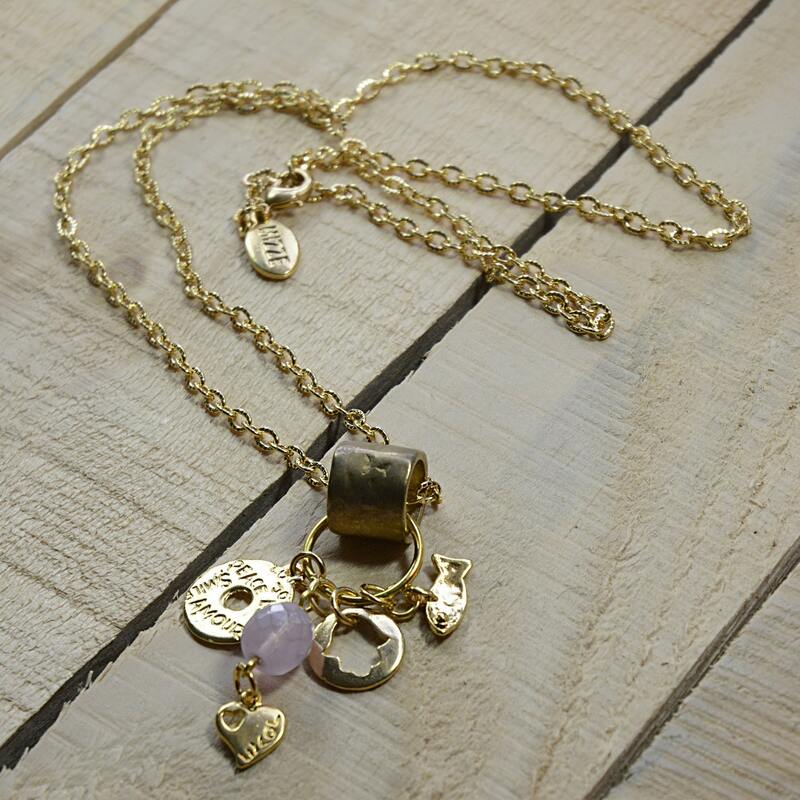 This long necklace is decorated with various charms for Love and Good Luck. 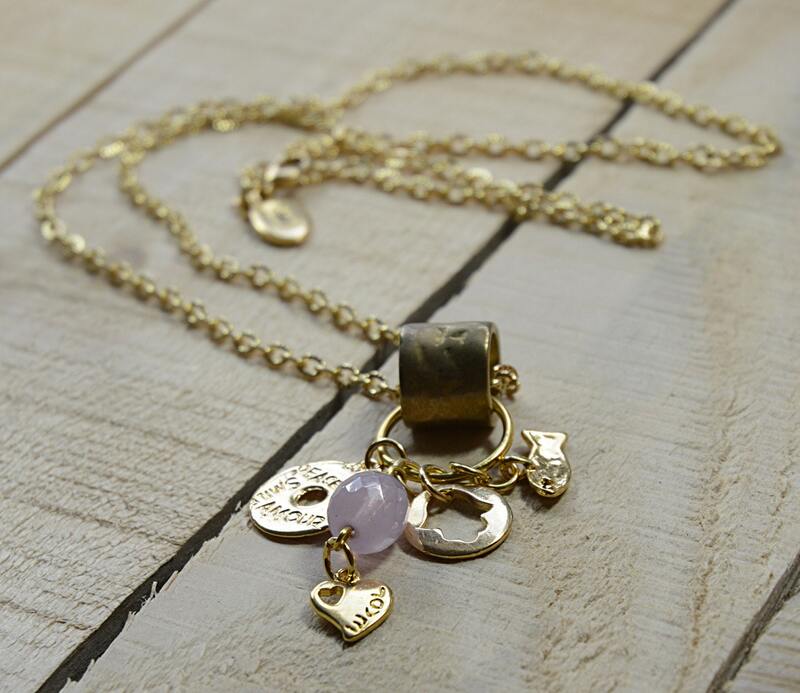 From a 24K gold plated ring hangs a Hamsa Hand and Amour circle charm, for good luck and love. 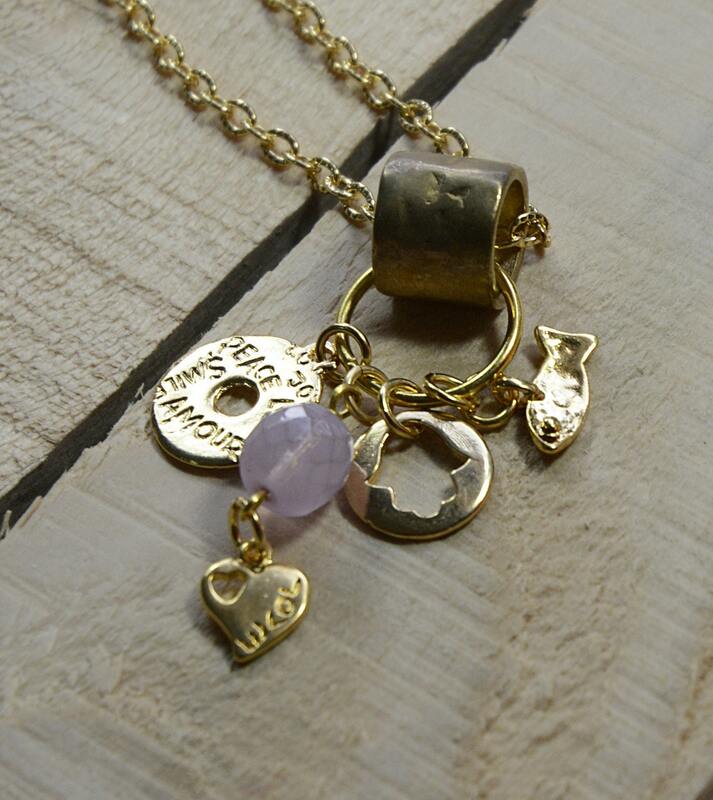 Alongside them hangs a fish charm and a purple crystal. The necklace measures approximately 26" in length. 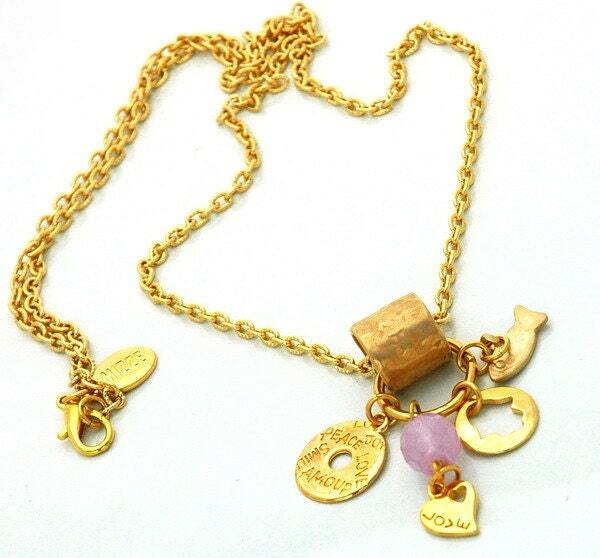 The necklace and charms are 24K Gold plated. We accept PayPal, Credit Cards and Direct Pay by Etsy. We ship to most worldwide locations. Shipping is done with the national carrier in your country. Standard Shipping takes 7 to 14 Business Days. Express Shipping takes 3 to 5 business days. NOTE: In some cases we have items we ship directly from the US and then delivery can take 3 to 5 days in standard delivery. In most places there are no customs charges but we leave it up to you to find out and we will not pay for any custom charges. We offer our 100% money back guarantee for 14 days from day of receipt. All returns must be in their original condition and include the shipping materials. We will refund the cost of the product not including shipping charges. We don't offer this guarantee on custom or special orders. WHOLESALE ORDERS are welcome and we are happy to sell our jewelry to stores. Please feel free to reach out - you can emails us to sales@mizze.com.